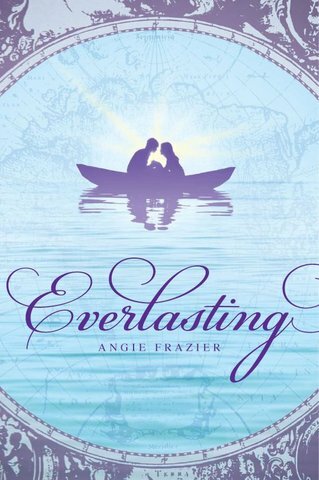 When I first read Angie Frazier’s debut, Everlasting, I knew I had something special in my hands. Together, we worked diligently to revise and shape the manuscript prior to submission. To this day, I am still struck by what a phenomenal writer Angie is, and how she was able to transform an already fantastic manuscript to an even more glorious one. And this was all before she had guidance from her phenomenal editor at Scholastic! Books are hard work. Everlasting is a prime example of a novel’s journey, from its initial draft to sale to finally hitting the shelves. It has been a long wait, but I could not be more thrilled that this novel is now available for readers to fall in love with as much as I have. Sailing aboard her father’s ship is all seventeen-year-old Camille Rowen has ever wanted. But as a lady in 1855 San Francisco, her future is set: marry a man she doesn’t love in order to preserve her social standing. On her last voyage before the wedding, Camille learns the mother she has always believed dead is in fact alive and in Australia. When their Sydney-bound ship goes down in a gale, and her father dies, Camille sets out to find her mother and a map in her possession—a map believed to lead to a stone that once belonged to the legendary civilization of the immortals. The stone can do exactly what Camille wants most: bring someone back from the dead. Unfortunately, her father’s adversary is also on the hunt for the stone, and she must race him to it. The only person Camille can depend on is Oscar—a handsome young sailor and her father’s first mate—who is in love with Camille and whom she is inexplicably drawn to despite his low social standing and her pending wedding vows. With an Australian card shark acting as their guide, Camille eludes murderous bushrangers, traverses dangerous highlands, evades a curse placed on the stone, and unravels the mystery behind her mother’s disappearance sixteen years earlier. But when another death shakes her conviction to resurrect her father, Camille must choose what—and who—matters most. Heartfelt congratulations to Angie from everyone at Upstart Crow. Visit her at www.angelafrazier.com and get swept up in the action-packed and über romantic adventure that is Everlasting!